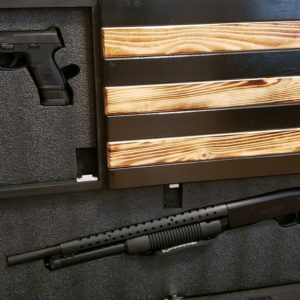 I haven’t reviewed a lot of concealment items for the home, but I should. I’m growing to like them, and the cleverness is getting better and better. 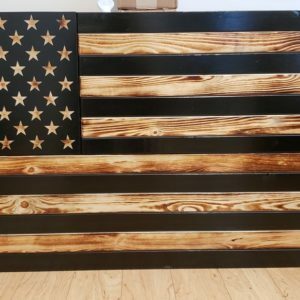 Today, we are going to be taking a look at a wooden American Flag, that happens to house three separate compartments to conceal various items. This X-Large version of our American Flag Concealment Case measures 47.50″x26″x4″. The larger opening is 46″ x 10.75″ The smaller opening is 12.5″x15.75″ The hidden compartments are secured with magnetic locks. The compartments come with 2.25″ thick customizable layered foam that you will cut to personalize your case. Mounting hardware, magnetic key, foam customizing tool and instructions are included. Other items inside display shown not included. I should first mention that I am moving in the very near future, and that’s why none of the photos will show this displayed on the wall. 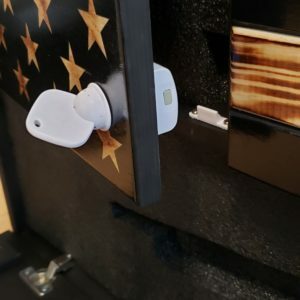 The concealment location behind the stars will open to reveal a spot roughly 16″ x 13″ in which you can use to house a number of items. 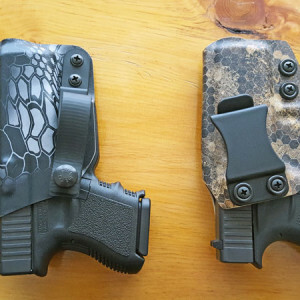 For now, I have cut out two spots; one for my Glock 26/27 and the other for my FN FNS 9c. Next to them, I plan to cut out some spots for a few magazines. The foam inserts can be pulled out to make it easier to cut. They provide a razor to get the job done. I simply outlined each item on the foam, and then cut through roughly the width of each firearm. It was actually a lot simpler than I thought it was going to be, and I did a better job than I had anticipated! The next spot to the right of the stars is an optional add-on. 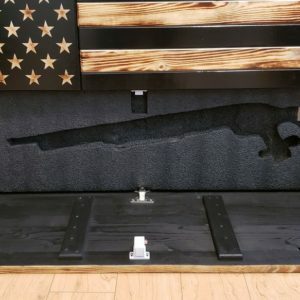 For an extra $85, you can get this nifty shelving to store ammo and any other items you may want to keep out of sight. 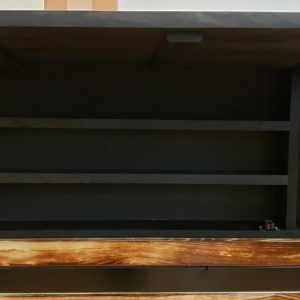 The top shelf is 25″ x 4″, while the two bottom shelves are 25″ x 3.5″. 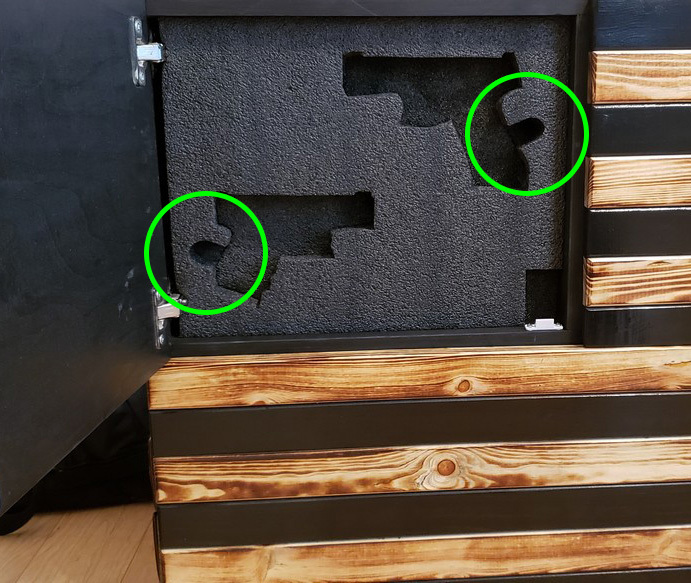 The bottom concealment location is where the space is, and I started with a cutout for my Mossberg shotgun. 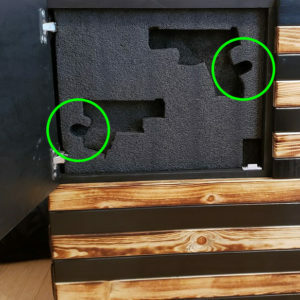 If you notice, you can see a little wood to the right where the foam was cut all the way through. 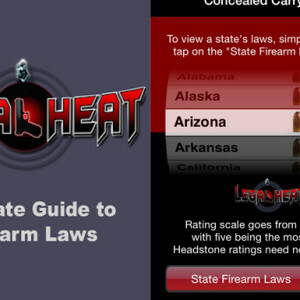 That’s to make room for the extra ammo that’s stored on the shotgun’s stock. 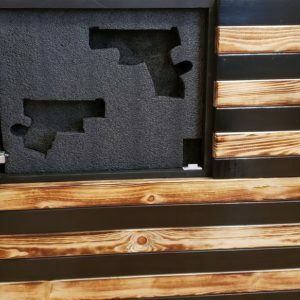 This piece of foam gives you an area of roughly 45″ x 11″ to work with. I have so many options with what else to put in there, and I haven’t quite figured it out yet. 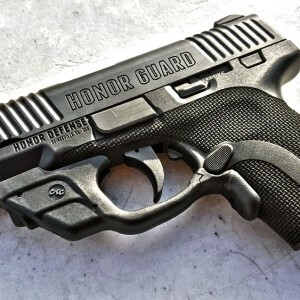 I’m still waiting for some review pistols to come in, and this may be their new home. 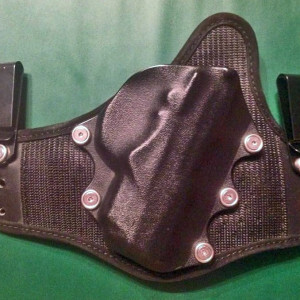 I could easily fit 3 more pistols in that lower section, if desired. As a side note, you may have wondered why I cut out the small sections circled in green above. I don’t know if anyone does this, but I did it so that I can more easily grab a firearm if I was in a hurry. 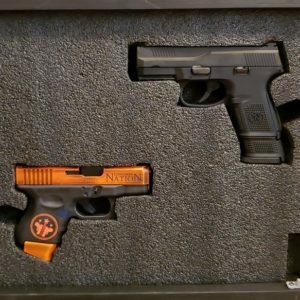 The one on the left is for the thumb while accessing the firearm, while the one on the right is for either the middle finger, ring finger or both. It just seemed to me that it’d be quicker to get to if that access was incorporated. Now let’s discuss the locking mechanisms. 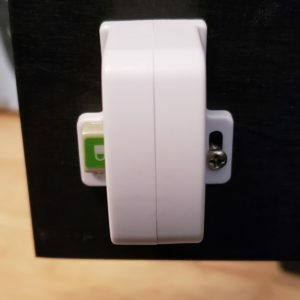 For mine, I have a magnetic key that will unlock each of the 3 locks. They also offer RFID chip access, which you can upgrade to if you choose. 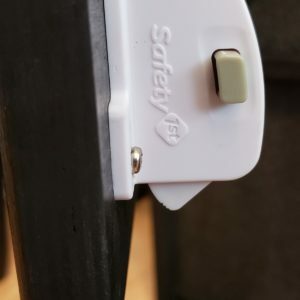 The magnetic key is placed over the lock from the outside, and will unlock. 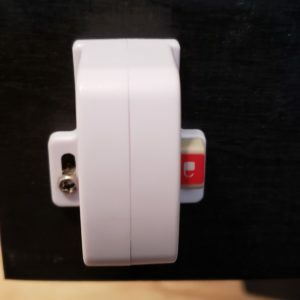 There is an option to keep the locks unlocked at all times, as seen below. When showing GREEN, the locks are locked and will require the use of the key. When showing RED, the locks are unlocked and the doors can be opened freely. The craftsmanship of the entire product is really outstanding. 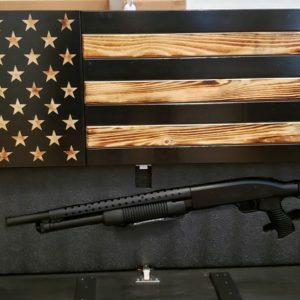 It’s a very sturdy and well-built concealment option for those who want to proudly display the American Flag inside their home. 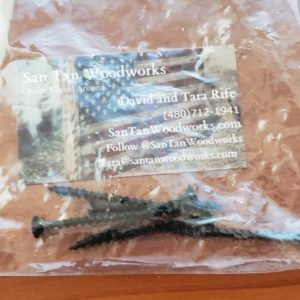 It’s very apparent that the people at San Tan Woodworks are very much into quality control. The piece is flawless, beautiful and functional.